These are the words that come from heaven and are directed at Jesus in the moment of his baptism. What strikes me most about these words is not that they are used to describe Jesus; that makes perfect sense. Rather, what is most profound about these words are their application to each of us as God’s chosen, adopted children. In this powerful moment of Jesus’ baptism we find so much more than we realize. We find our identity as children of God and we discover that we are loved and God is pleased with us. 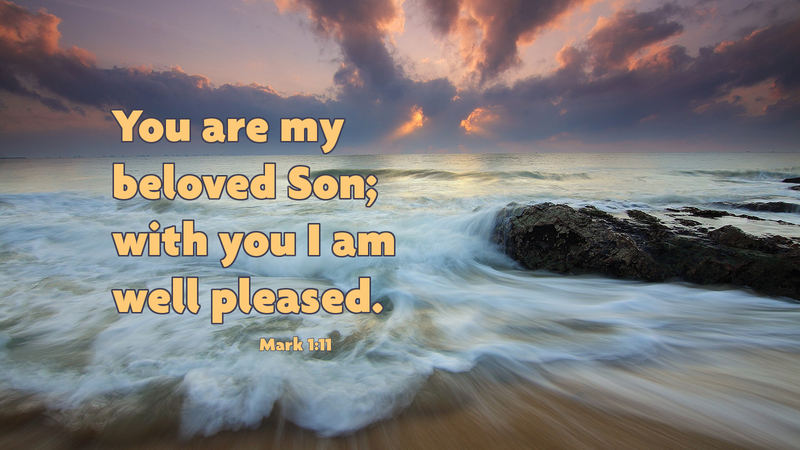 Prayer: God help us to know that we are your chosen, adopted children with whom you are well pleased. Today’s devotion was written by Rev. Dr. Marcus J. Carlson, Pastor of St. Mark’s Lutheran Church, Auburn, IN.